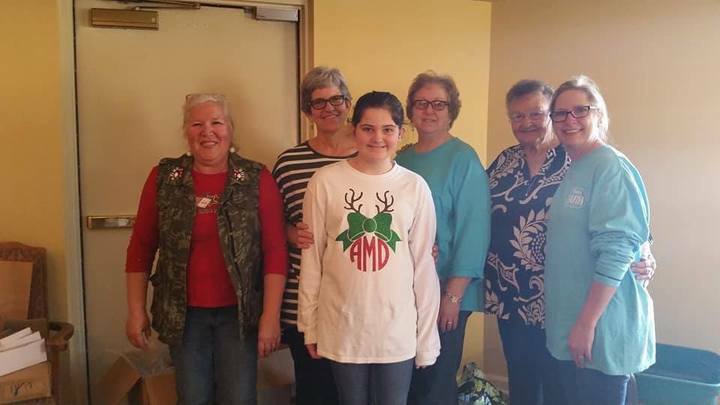 The East Cullman Baptist Association's Nursing Home Ministry supports our local nursing home facilities through summertime VBS for nursing home residents, as well as an annual Christmas Store project. During the summertime VBS, residents are assisted with crafts, taught a Bible lesson, served refreshments and joined in singing along Bible school songs. Various churches from the ECBA volunteer to lead the VBS. At the annual Christmas Shop project, church volunteers set up a "store" for residents to "shop (no money required)" for gifts for their loved ones. Our ECBA volunteers then wrap those items for the residents. Christmas items are donated by our ECBA churches. Items to be donated for Christmas Store are small knick knacks, lotions, colognes, jewelry, picture frames, dishtowels, gloves, hats, scarves, throws, etc. Only new items, please. In addition to these ministries, the Nursing Home Ministry collects the following items, year around for the Nursing Homes.....Extra Large Size pullover sweatshirts and socks with rubber grips on soles.